Pierre Duhaime was arrested in November 2012 on charges including fraud, conspiracy and forgery related to a $1.3-billion contract to build a superhospital in Montreal. He pleaded guilty Friday to helping a public servant commit breach of trust, avoiding a trial that was to start Monday. 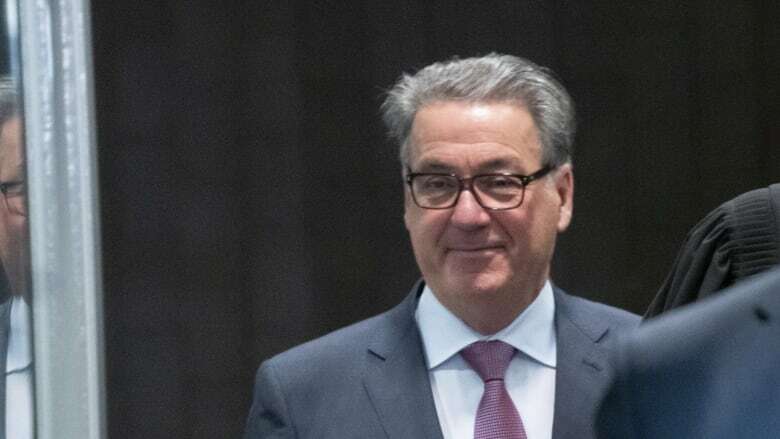 Former SNC-Lavalin CEO Pierre Duhaime pleaded guilty in a Montreal courtroom Friday morning to helping a public servant commit breach of trust, six years after he was first arrested and accused of bribing public officials. "Instead of acting upon that knowledge, and stopping this from happening, which he could have done, he chose to look the other way," said Robert Rouleau, spokesperson for the Crown prosecutor's office. Last year, Elbaz, who was disgraced MUHC head Arthur Porter's right-hand man, pleaded guilty to charges including breach of trust and conspiracy. He admitted to receiving a $10-million bribe from SNC-Lavalin. Porter was also accused of accepting a bribe in the case, but he died in Panama in 2015 and charges against him were subsequently dropped. 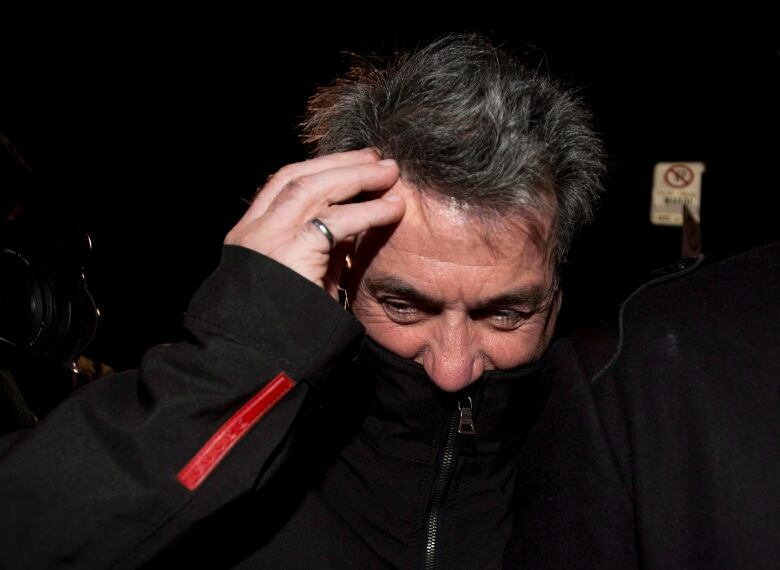 Quebec's anti-corruption squad arrested Duhaime in 2012 on 15 charges, including fraud, conspiracy and forgery. Fourteen of those charges were withdrawn Friday. His trial was supposed to begin next Monday. Provincial court Judge Dominique Joly accepted a joint recommendation from the defence and Crown that Duhaime be sentenced to 20 months of house arrest, 240 hours of community service, and make a $200,000 donation to a fund that compensates victims of crime. He will not serve any jail time. Rouleau said Duhaime wasn't considered to be one of the key actors in the bribery scandal, and those who are questioning the severity of the sentence should look at it from Duhaime's perspective. "I don't believe he's walking out of here laughing and thinking that this is a good day for him. I think quite the contrary." Duhaime did not speak to reporters outside the courtroom. His lawyer, Michel Massicotte, said his client regrets what happened. In total, nine people were charged in the case, which one Quebec police investigator called "the biggest case of corruption fraud in Canadian history." Duhaime is the fourth person to plead guilty. One other person was acquitted, and three had charges dropped. Last November, Elbaz was sentenced to 39 months in prison. Riadh Ben Aissa, SNC-Lavalin's former vice-president of construction, was sentenced to 51 months in prison in July. He pleaded guilty to one charge of using a forged document. Pamela Porter, the wife of Arthur Porter, the former chief executive of MUHC who died in Panama in 2015, was jailed for money laundering in 2014. Duhaime hasn't been CEO of the engineering company since 2012, when he stepped down after an internal audit found he signed off on "improper payments" to undisclosed agents. We have always maintained that those who committed any criminal wrongdoing should be held to account, and in fact, this will be the case. In a statement, SNC-Lavalin stressed that there were no charges laid against the company and that it has "always actively co-operated with the authorities." A previous version of this story stated the MUHC contract was worth $1.3 million. In fact, it was worth $1.3 billion.